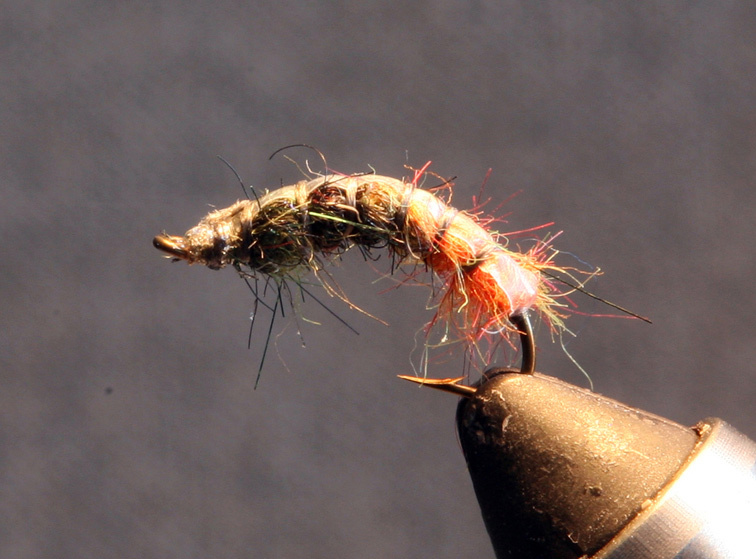 The same fly as the previous one, but with no plastic film back. 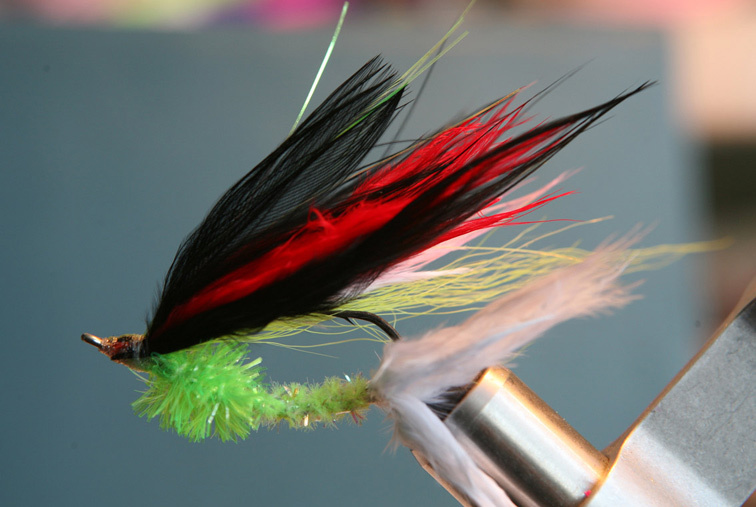 Both flies work good. 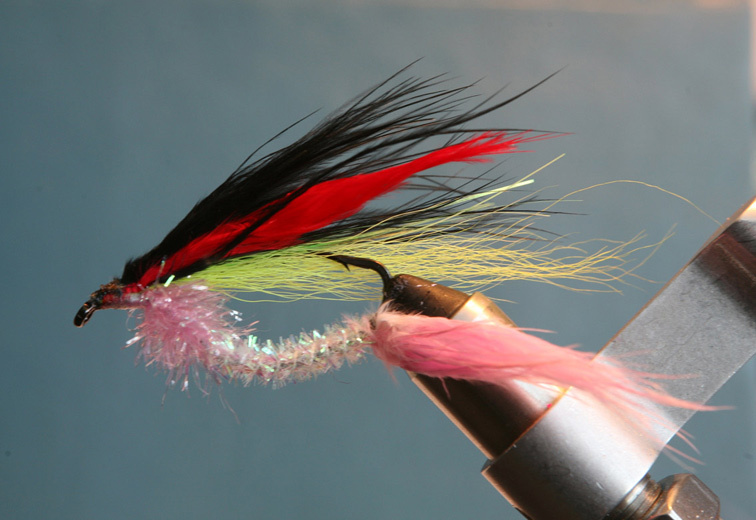 This year I am planning to test the Booby Fly in our waters. 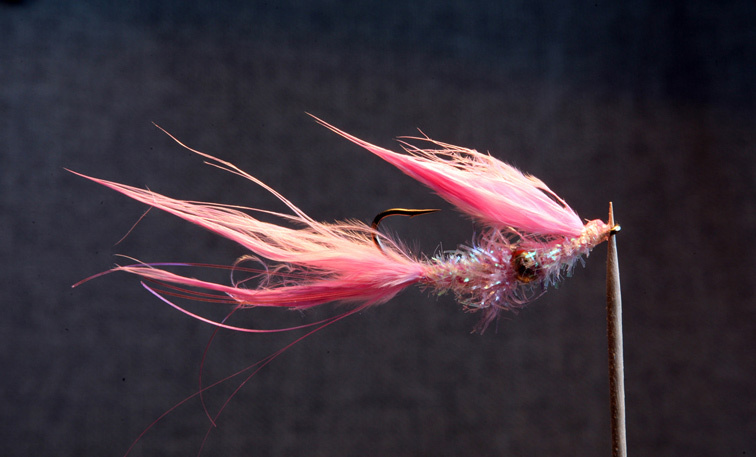 This pink one on #2 hook should work in Kamchatka and in the Amur River. 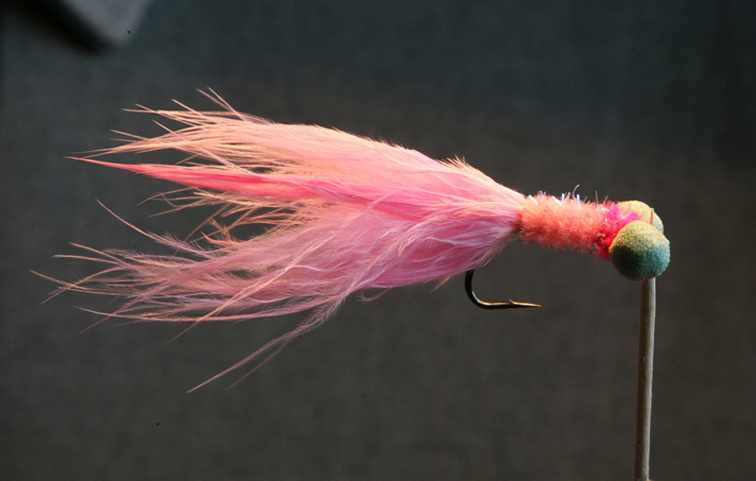 Gotcha-type shrimp imitation on #4 hook attracts fresh pink salmon and char. 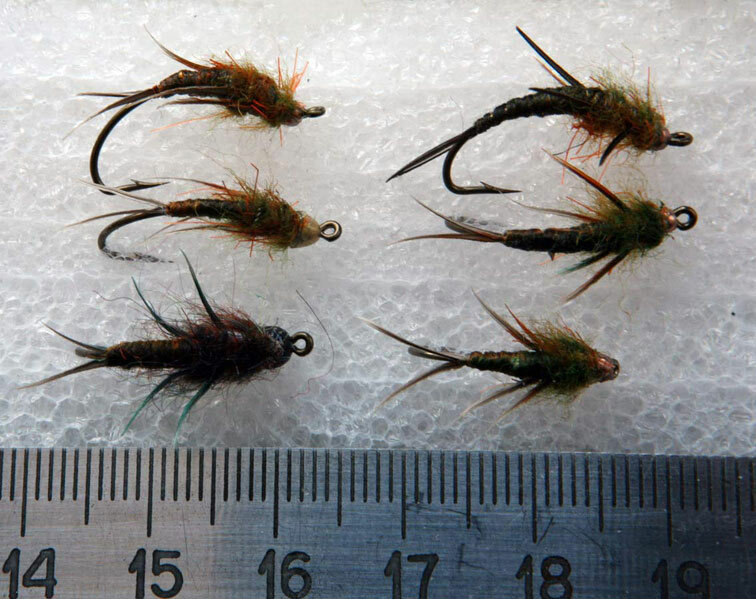 The bigger variants of the same fly are good for other Pacific salmon. 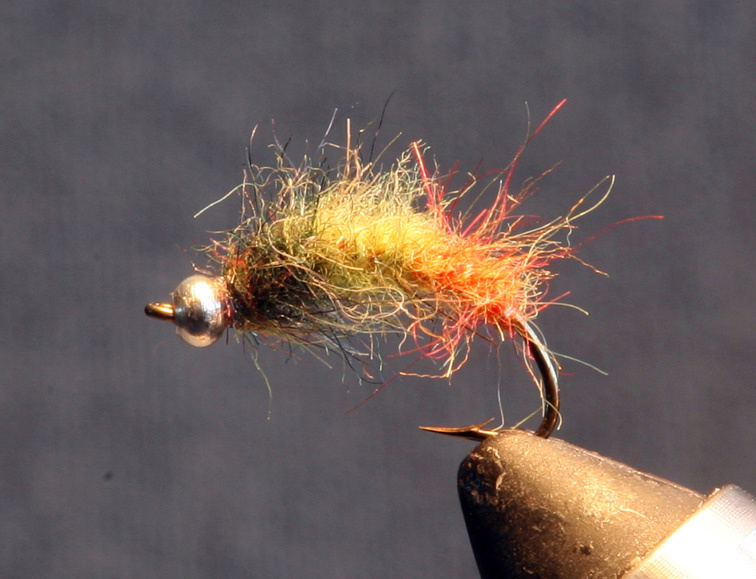 A streamer on an offset hook will be used in the Amur River, in the areas with many rocks and snags. 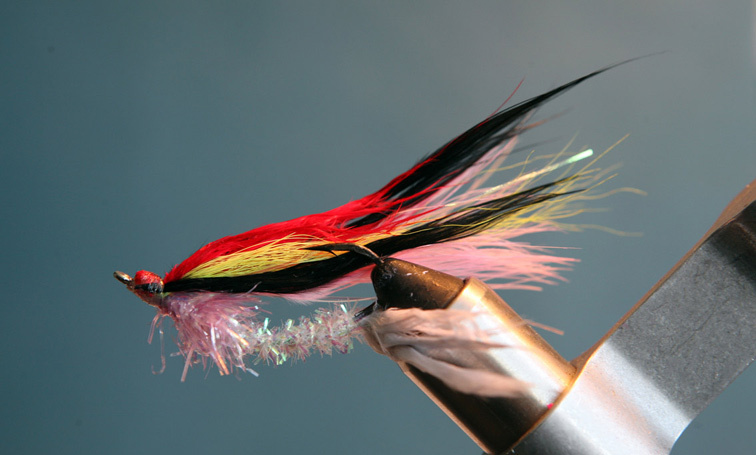 This fly is used for pike, catfish, and Mandarin bass.